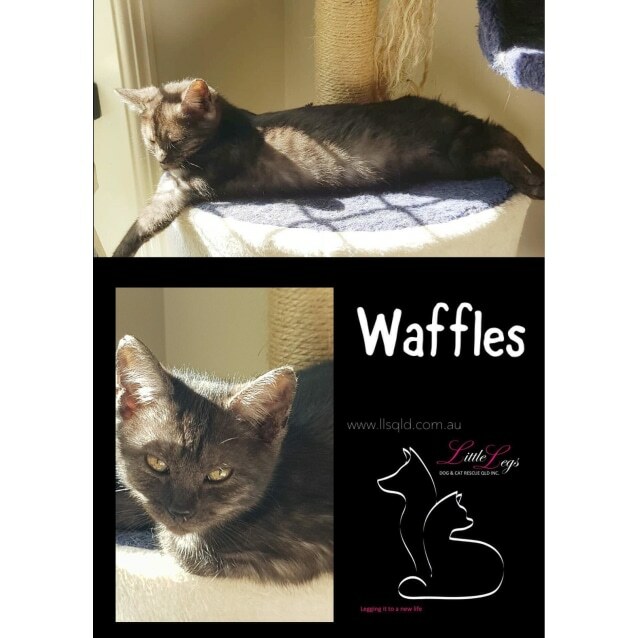 Waffles is a very playful inquisitive little girl. She loves playing with the other cats, toys and racing around the house. She loves to explore and find little hidy holes where she can curl up for a peaceful nap. Waffles will come running when she hears the food bag. She loves little treats. Waffles isn't a cuddler but doesn't mind being picked up. She is always looking for her next adventure. 👍 All kittens go to their new homes with a 1wk trial period. 🐱All vetwork has been completed prior to leaving our care and the adoption fee is $190. ALL KIT-TEENS’ (6-9months) and ADULTS (>9months) are at the special price of $90 for KI-TEENS, $50 for ADULTS and BONDED ADULTS $100. Only until 24th December 2018.